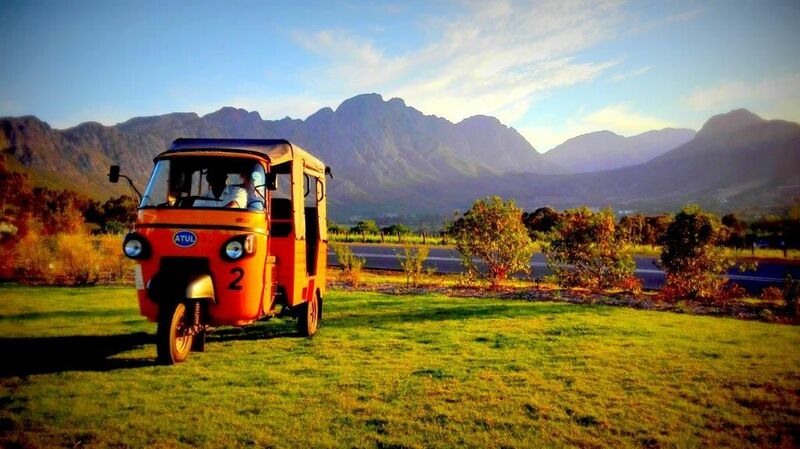 Experience the famous Franschhoek wine region on a TukTuk. The Franschhoek TukTuk wine tour launched in 2015, offering a new, fun and affordable way to explore the wine estates of the beautiful valley. Half-day tour of the mountainous valley, stopping at a number of well-known vineyards for tastings. Tours encompass three to five wine farms, and include expert-guided tastings of the vineyards’ best loved varietals.